This competition is sponsored by The Cubicle! The Cubicle will be present to provide prizes to winners and will also be vending at the competition. This competition will be held at Princeton Day School, and proceeds will go toward the PDS Cube Club. Please be sure to read the Registration Requirements, as well as the Competitor Information tab. ALL SPECTATORS ARE WELCOME TO ATTEND FOR FREE. T-Shirts will be available both for preorder and for sale at the event. The shirts' design will be posted shortly. Lunch, snacks, and drinks will be available throughout the competition. Any requested changes to registration before registration closes will be honored. Your registration is not complete until your name shows up on the list. If you believe you paid and your name isn't showing up, please contact us so that we can assist you. The competitor limit for this competition (125) has been reached. Registration has also closed, as the waitlist has become very large. If you are on the registration list and find that you cannot make it, please let us know! We will refund your registration fee and let another competitor onto the list. We want to allow as many people to compete as we possibly can. The deadline for this is Sunday, September 23, 2018, 8:00 PM EDT. No refunds will be given to registered competitors past this point. We also reserve the right to close registration if the waitlist grows large enough. On Sunday, September 23, 2018, 8:00 PM EDT, if you are still on the waitlist and you have paid, your registration fee will be refunded. So, you will not lose your fee if you never make it to the competitors' list. Cutoff- Rounds with a cutoff will have an additional best of 2 (best of 1 for 6x6 and 7x7) format where competitors will have 2 attempts to achieve a time under the cutoff. If the comeptitor does then they will be awarded more attempts to compelete the average. Time Limit - Any attempt in the round exceeding this time will be awarded a DNF. For "WCA" Time limits, it is dependent on the regulations for that event. All cutoffs, time limits, numbers of competitors advancing to subsequent rounds, and subsequent rounds are subject to change, however all changes will be announced prior to the round's occurrence. We hope to not make changes, however scheduling limitations may require changes to be made. Please note that results will be uploaded as quickly as possible, but we will focus on making sure the competition itself runs smoothly. If you have any questions after this video, we will be having a new competitor tutorial, the morning of the competition. That would be the perfect time to ask those questions and clear up any confusion. A: YES! You are responsible for your own hardware in order to compete, however, we will have a vendor at this competition, from which you can buy puzzles if your current ones have seen better days. A: Nope! All cometitors compete in the same group. If you are a first time competitor, please read this section carefully. If you are a returning competitor, please skip to the next section. In addition, please read this document before coming to the competition. 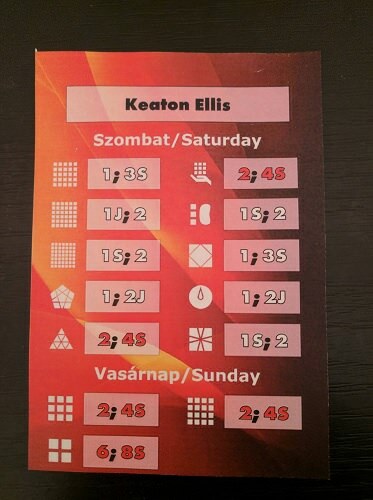 Huge thanks to Olivér Perge and Niki Placskó for the document! Please note that everyone is expected to help only during the events they are registered for, and everyone need only help for one group per event. If you do not arrive to help during your scheduled event, and there are not enough staff members, we reserve the right to disqualify you from competing. 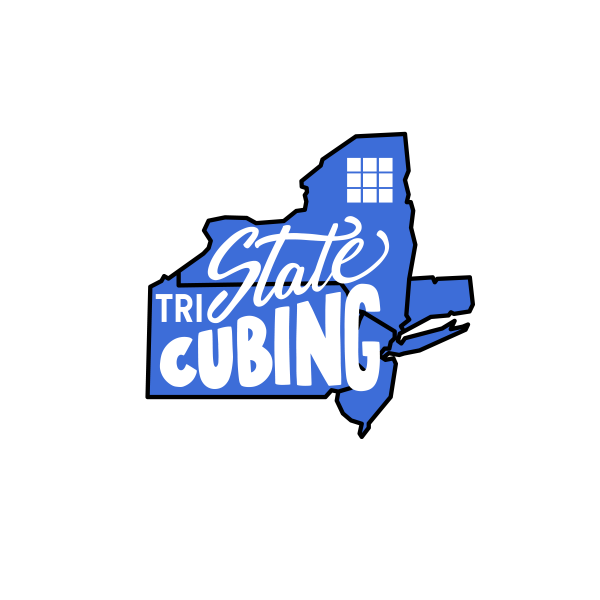 If you are interested in receiving updates about competition announcements and staying in touch with cubers and family members of cubers from the tri-state area (southern Connecticut, New York, New Jersey, Pennsylvania), please consider joining the Tri-State Cubing Facebook group (click on the logo or here). There, you can also find a link to join a mailing list for competition announcements for this area.